In today's episode, we talk about wedding diet culture, COMFY CHAIRS, and bodyposi wedding recommendations! Buffy, the comfy and sustainable bedding company! You can try a Buffy comforter in your own bed for 30-nights, free. If you don’t love it, return it at no cost. Listeners can get $20 off by visiting Buffy.co and entering code SAF. GLDN. GLDN wants to change the way you experience jewelry. Their necklaces, rings, bracelets, and earrings are made by hand when you order! SAF listeners can use code SAF for free shipping around the world on any GLDN order through May 31st. ThirdLove! ThirdLove knows there’s a perfect bra for everyone, so right now they are offering listeners 15% off your first order! Go to thirdlove.com/saf now to find your perfect-fitting bra. Get your hands on our very first merch collab! Use code SAF for 10% off your purchase of all Dazey brand items. We have sizing descriptions and more about the shirt on our instagram. We are an independent production. 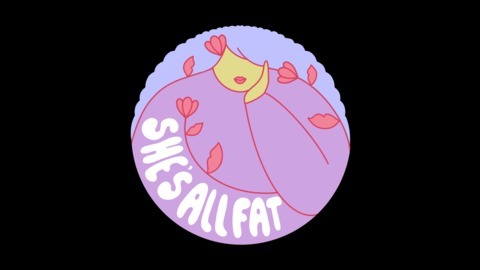 If you’d like to support the work we do, you can join our Patreon by visiting patreon.com/shesallfatpod. When you pledge to be a supporter, you’ll get all sorts of goodies like our Patreon-only Facebook Group and extra content. If you are interested in the perks available to our Patrons but you are not able to afford the monthly contribution, apply for our Patreon Scholarship! If you are a member of the Fatmily interested in becoming a sponsor, contact us here. You can find us on: Apple Podcasts, Spotify, Google Play, Stitcher, Pocket Cast, PlayerFM, and CastBox. We’re going on a short break! We’re taking next week off, then we’ll be back in your feed on April 25th. In the meantime, you can follow our social, buy our collab shirt with Dazey, or listen to extras on the Patreon! Tip Jar: A Practical Wedding / Pretty Pear Bride / The Big Bride Club! 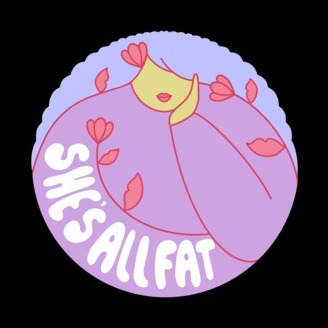 Call for Submissions: Are you FAT and TALL? We want to hear from you! Send us DAT VOICE!